Exypnos, an engineering & production company, offering carefully considered alternatives for bonding, framing or encapsulation applications involving polyurethane, announces that its CEO, Johan Van Dyck, will be presenting its recent developments & innovations at the 14th annual Cleantech Forum in Antwerp, during the seminar event on May 15th between 11am and 12.30pm. 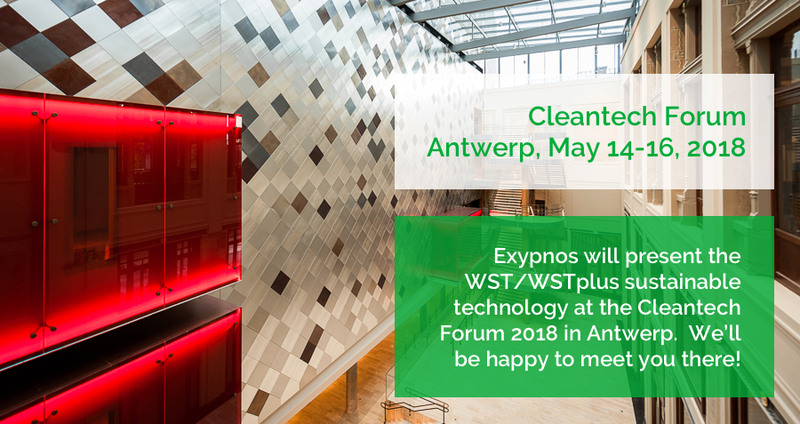 In his presentation Johan Van Dyck will give insight into Exypnos’ recent progress on both the designing and engineering of ready-made bonding, framing & encapsulation systems, and the in-house application of the WST/WSTplus polyurethane technology. We also invite you to visit the Exypnos booth in the networking area and interact with our technology experts. Please visit the website https://www.cleantech.com/event/cleantech-forum-europe/ for more information on this major industrial conference. We’ll be happy to meet you there!